The Tongue of the Ocean is one of the world’s deepest undersea canyons. It lies between Andros Island and New Providence Island. 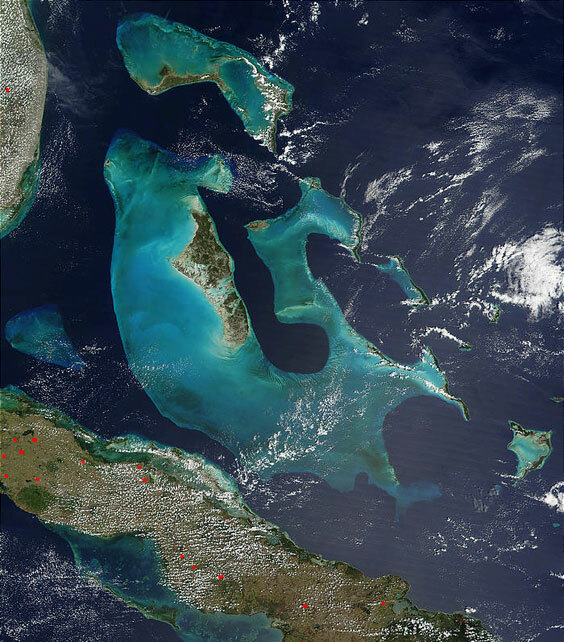 In this NASA photo, it looks a bit like a golf club with the large island of Andros lying along the western side of the “handle.” In places, the sea floor in the Tongue of the Ocean is over eight thousand feet below sea level. Along the western edge of the Tongue of the Ocean is the Andros Barrier Reef, one of the world’s longest barrier reefs. Here divers can “wall dive” to view the coral clustered along the top edge of the sheer drop to the sea floor.